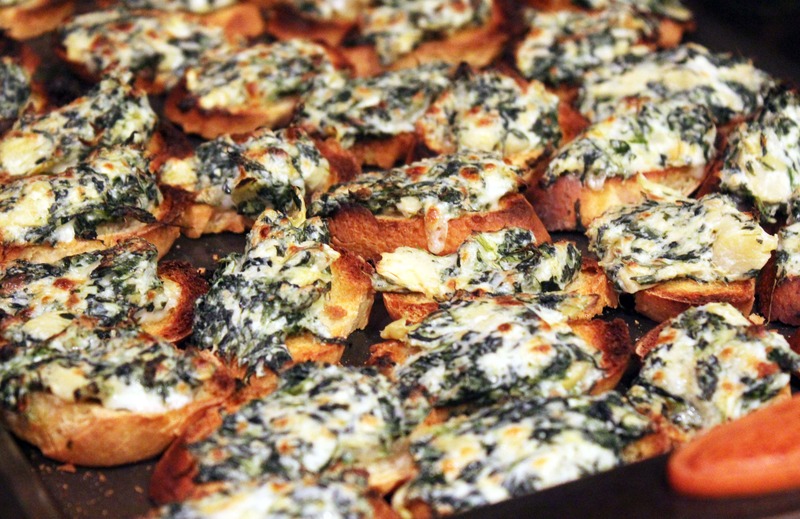 You know spinach artichoke dip? We made these a few weeks ago for my sister Olivia’s girlfriend Katie’s graduation party, which was super duper fun and also involved grilled tofu because Katie’s a weird vegetarian and I’m a weird lover of non-meat foods. 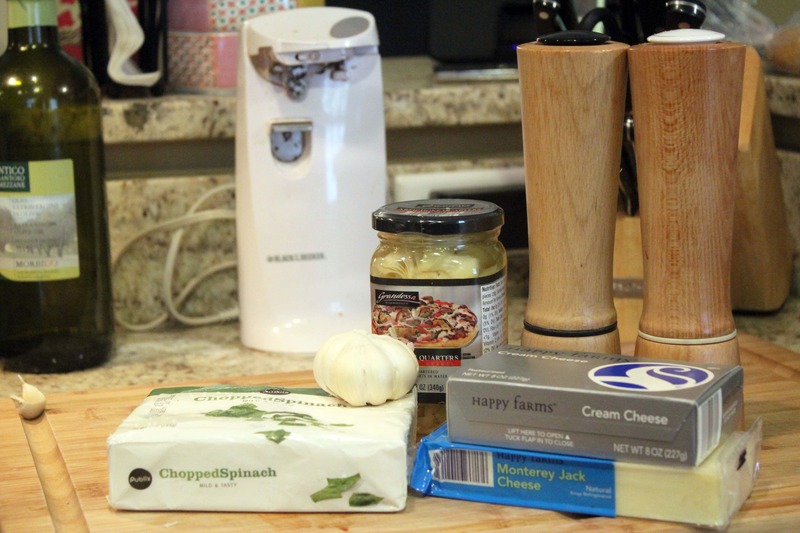 The topping can be used for lots of different things – I have since stuffed it into mushrooms and desired to stuff it into puff pastry….you can get really creative with how you use it! First, though, let’s make toast. 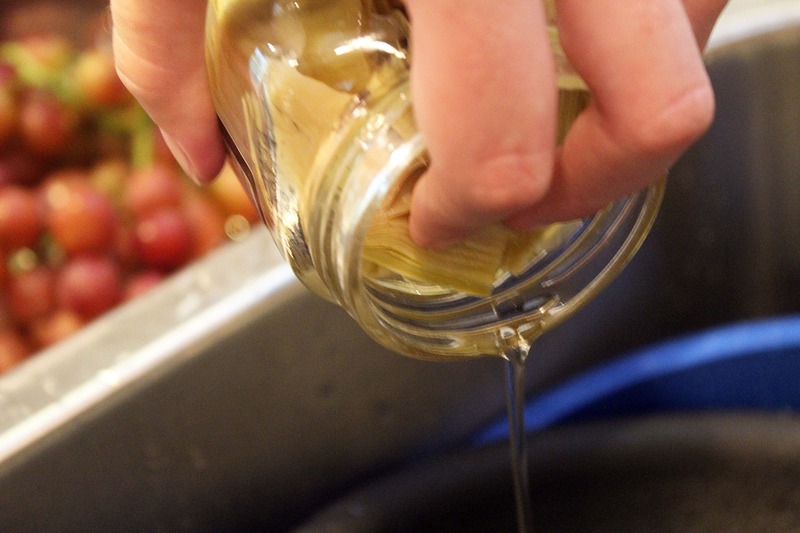 1 cup (one jar, one box, give or take) drained artichokes – not marinated or in oil! Easy, huh? First, make the filling. 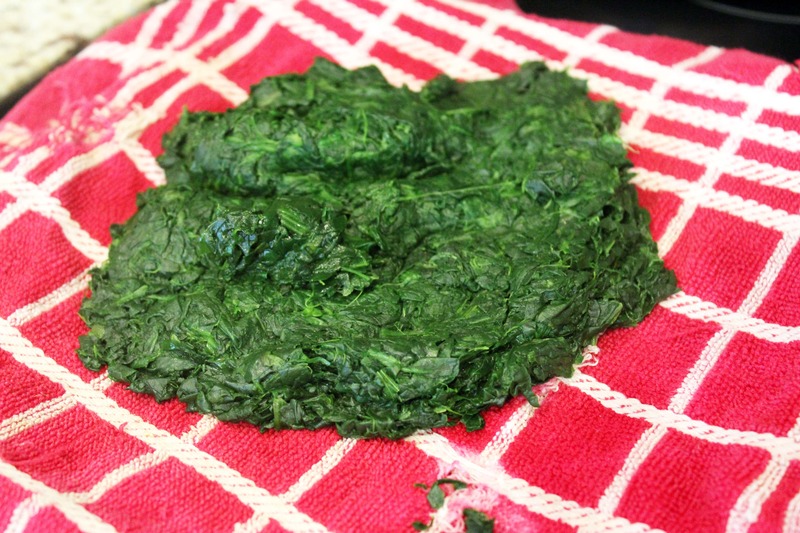 For the spinach, thaw it in the microwave and dump it on a kitchen towel like a cow pie. 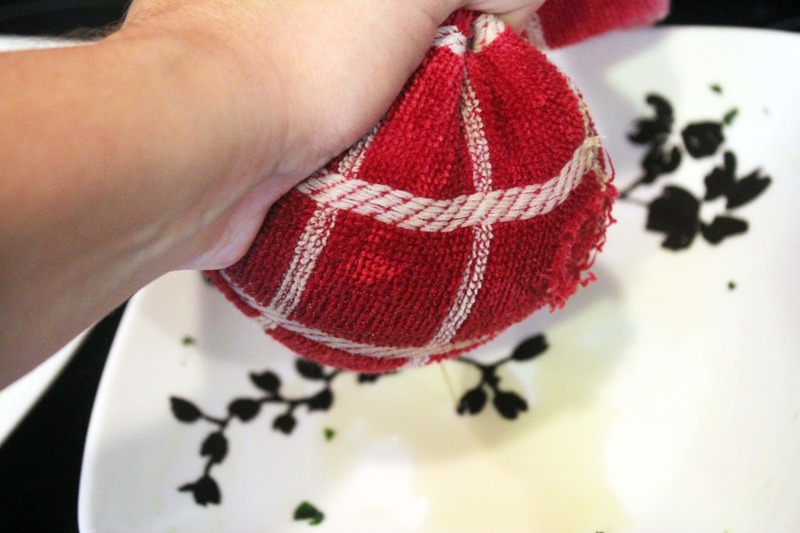 Then, squeeze all the water out of the spinach through the kitchen towel – there will be a lot! 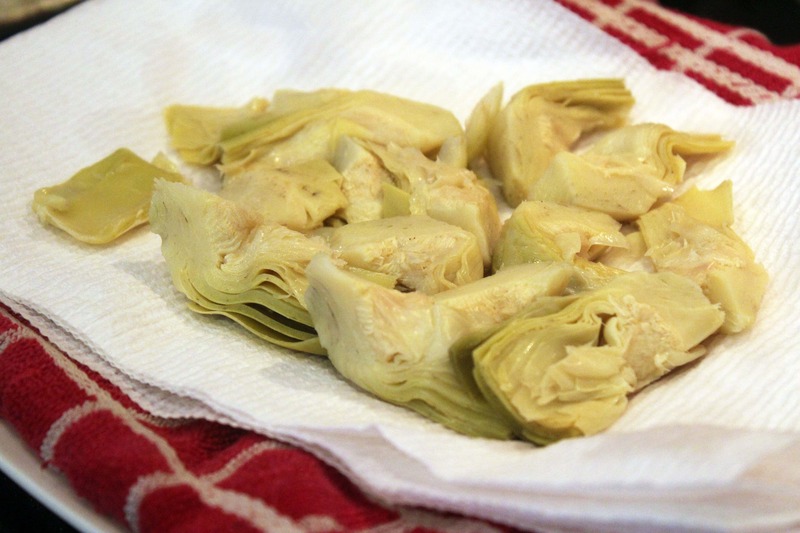 Then, drain the artichokes and chop them into little bits – I like to leave some big chunks too. 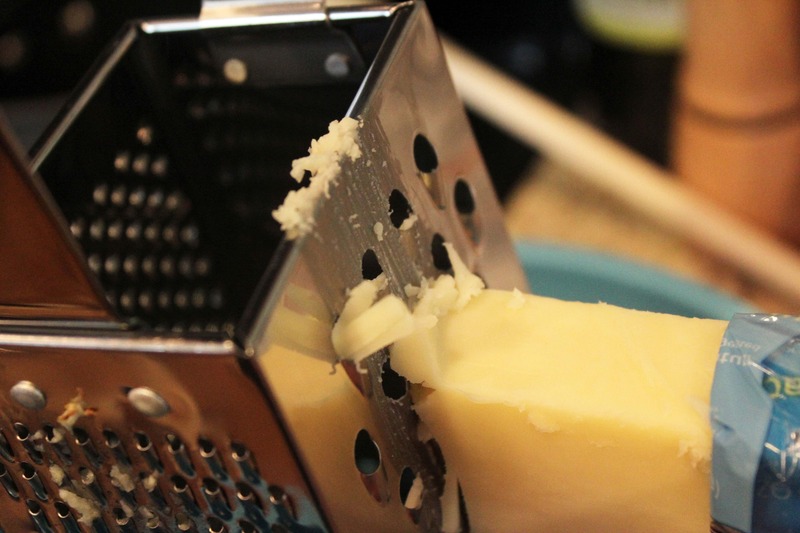 To a bowl, add the cream cheese, then grate in the garlic and cheese, if it isn’t already shredded. 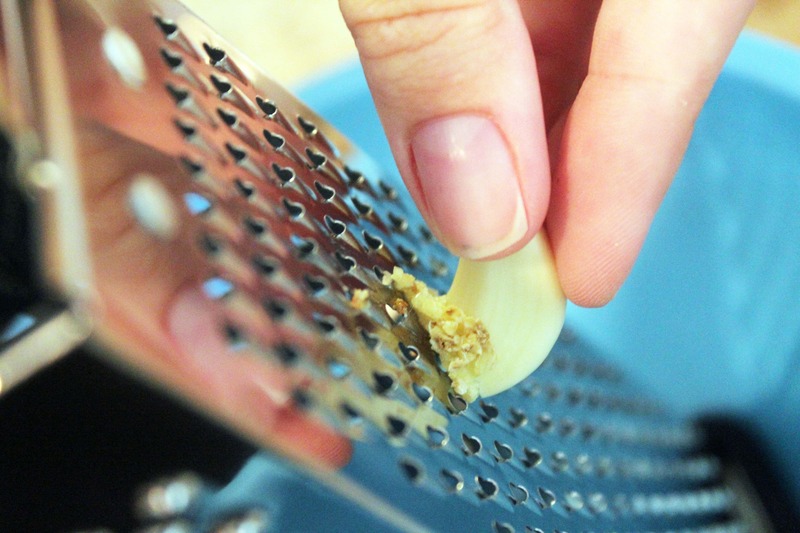 I use the teensiest holes for the garlic so that it spreads evenly through out the mixture. 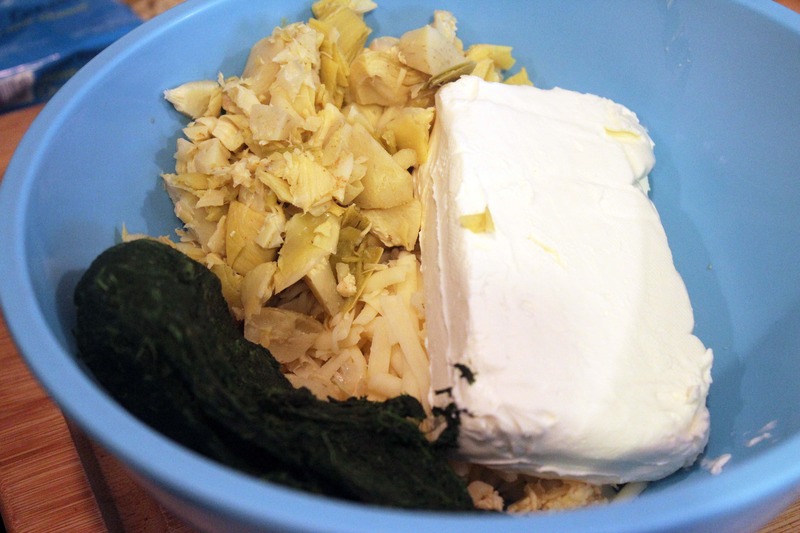 Add the artichokes and spinach to the bowl, then stir the filling together! Taste it, and add some salt and pepper if you’d like. Make-ahead note: You can make this up to a week in advance and keep it in the fridge, then use it whenever you need to. It ages very nicely! 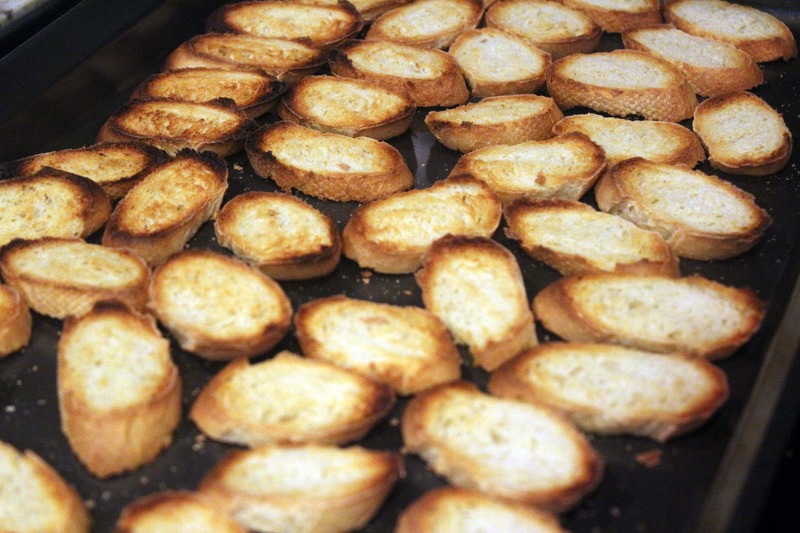 Now, I like these on crispy toasts, so I broil the toast for 1 minute on each side before adding the topping. You can skip this step if you’d like! I think it makes for a better vessel for the heavy filling, though. 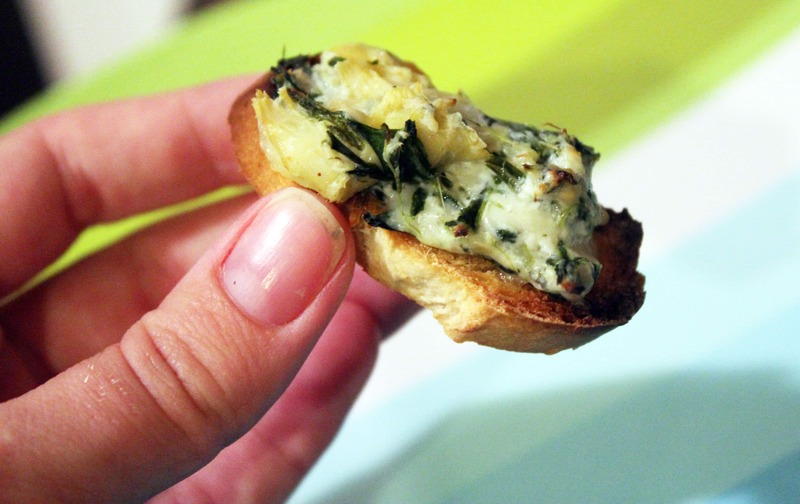 To whatever you’re serving this on, spread some of the spinach artichoke mixture over the bread. Then, broil the whole mess for 2 minutes or so until the filling is slightly brown on top. Enjoy these! This filling is my new favorite entertaining thing for summer, and I’m sure there are tons of other uses for it. How else could we serve this? Let me know what you think! They were SO easy and worked really well. I hope you like them! 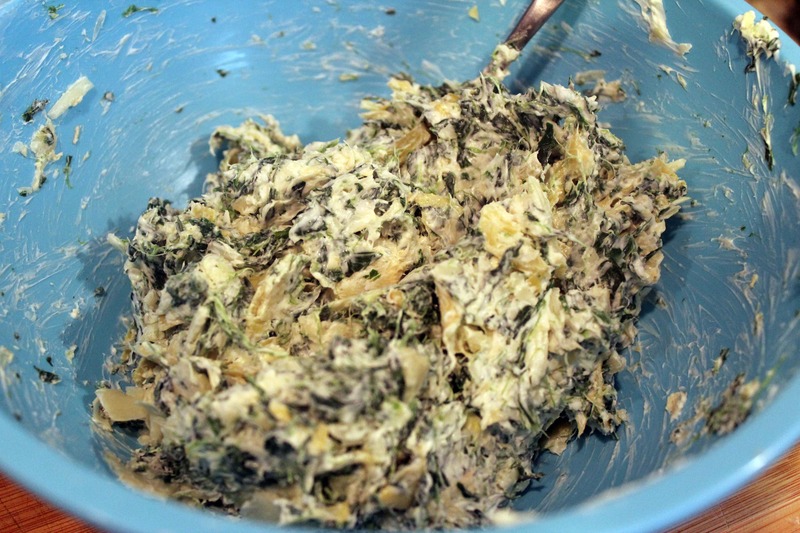 So easy, and I know there are lots of other fun things I can do with the spinach mixture. I’m excited to keep working with it! wahoo! this is what I’m brining to the 4th of July pot luck! 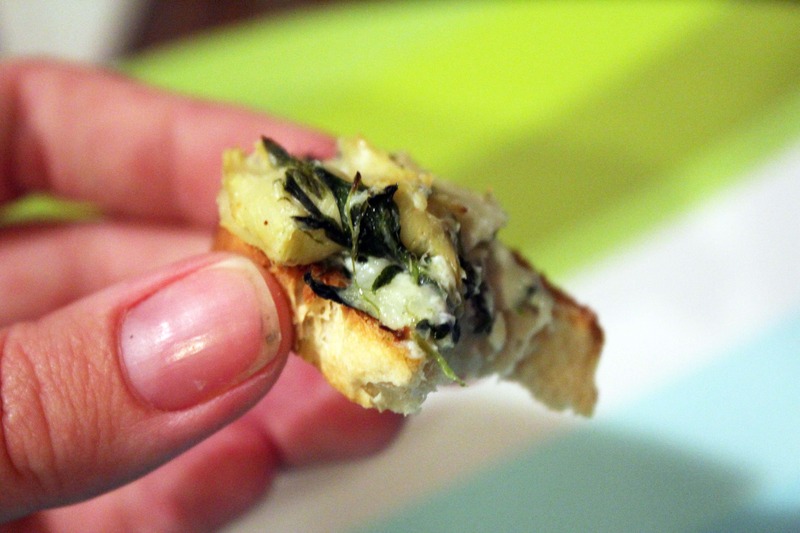 The spinach and artichoke w/ mushrooms would be delicious at Christmas! Sounds so good. Wish I had the ingredients here in Jamaica. I would love to make them for our Thanksgiving party. Have fun cooking this week.